President Obama is sponsoring a bill by the Senate Banking Committee Chairman Chris Dodd(D-CT) that would reward the Financial Firm Goldman Sachs with up to Billions of Dollars. The bill implements a $50 billion resolution fund to the firms creditors through fees that would come from banks and other businesses, which the bill calls a “nonbank financial company.” Critics are calling it a “backdoor bailouts” to Goldman Sachs who was already payed $12.9 billion in tax dollars through the bailout of AIG. Goldman Sachs is being investigated by the SEC for securities fraud for misleading clients about investments costing them over $1 Billion and has hired President Obama’s former White House Counsel to defends itself against the charges. This will only further allegations of the Presidents ties to the firm. Jonathan Tasini who is a democratic candidate for the US Senate wrote a letter in the Huffington Post to DNC Chairman Tim Kaine, asking “that, as chair of the party, he use his powers to make sure that no Democratic Party candidate, and no campaign committee or leadership PAC, accept a single dollar from Goldman Sachs, and that all those entities return any money pocketed from Goldman Sachs during this cycle.” He went on to say that “I have asked him to go one step further: in order to support President Obama’s legislative efforts to reform Wall Street, that he banish all money from the financial services industry from the coffers of any Democratic Party candidate or entity.” While I applaud him for demanding that candidates turn down money from Wall Street, he is misguided to support a bill that would shield financial institutions from investigation and reward their crimes. Obama who’s approval rating is plummeting is now trying to promote this bill as a populist measure to regulate corruption on Wall Street. 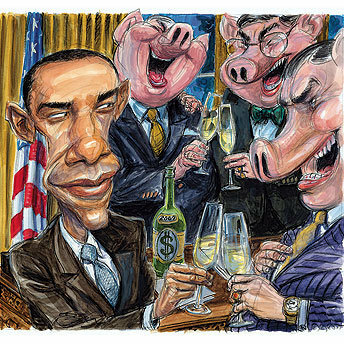 Obama supported the massive bailouts of wall street which Dodd orchestrated from the Senate. Obama’s 2nd top source of campaign contributions was from Goldman Sachs, therefore he cannot be trusted to bring reform to our financial sector when they were the ones who brought him into power.